To promote alternatives for the traditional users of spawning aggregation sites. Presently, the Working Group’s members are representatives from the following 13 organizations: Belize Audubon Society, Belize Fishermen Co-operative Association, Belize Fisheries Department, Coastal Zone Management Authority and Institute, Green Reef Environmental Institute, Hopkins Fishermen Association, Placencia Fishermen Co-operative, Southern Environmental Association, The Nature Conservancy, Toledo Institute for Development and Environment, University of Belize, Wildlife Conservation Society, and World Wildlife Fund. Monitoring: Seven sites are monitored as regularly as possible and include: Rocky Pt. (Bacalar Chico Marine Reserve), Dogflea Caye (Turneffe Islands), Sandbore (Lighthouse Reef), Emily/Caye Glory, Gladden Spit (Gladden Spit and Silk Cayes Marine Reserve), Northeast Point (Glover’s Reef Marine Reserve) and Nicholas Caye (Sapodilla Cayes Marine Reserve). The monitoring teams are guided by the Reef Fish Spawning Aggregation Monitoring Protocol for the Mesoamerican Reef and Wider Caribbean. Data Storage and Analysis: The Working Group manages a database in which all monitoring data are stored. Recently the Group developed a web-based database to make data entry and retrieval more efficient. Efforts are underway to re-enter all data in this new online database. Once this process is completed, the Group will then be able to generate reports that will be useful for management purposes. Use of the database is governed by a data sharing agreement , which has been signed by participating members. Dive safety is a prime concern of the Working Group, which has developed emergency procedure guidelines and keeps and up-to-date record of dive team members. Public Awareness: The Group has published a series of newsletters, two posters, and TV spots. 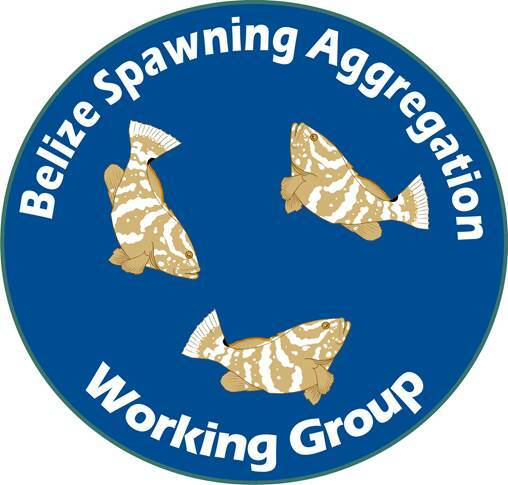 The main aim of this program is to keep stakeholders, particularly fishermen, informed of management progress and the results of the monitoring, to publicize the vulnerability of fish spawning aggregations and the conservation measures taken in Belize to preserve them through full protection of the sites and a closed season for the Nassau grouper. Training: Dive team members receive regular refresher courses in the monitoring protocol and other procedures. For example, many members recently participated in a DAN oxygen provider course. CONTACT: Leandra Cho-Ricketts, PhD, Working Group Chairperson, Environmental Research Institute, University of Belize, Belmopan Campus, Belize, Central America.